The Boss Box and Thinkruptor Magazine have joined forces to bring Lewis Howes - best selling author, leadership expert and creator of the School of Greatness podcast - to downtown Las Vegas for one night only. Get tickets now because they are going FAST! (Group rates available, please contact us). Each ticket includes a copy of Lewis' new, best selling book "The Mask of Masculinity." A HUGE THANK-YOU TO OUR SPONSORS + EVENT PARTNERS! Join us for the REALEST Conversation of 2017! Boss Talks, a quarterly series with its unique marriage of inspiration, education, conversation and intention, hits Vegas on December 5th in Downtown Fremont. This Exclusive Pop-Up (Sin City Style), features a chat with Lewis Howes, and is hosted by emcee and Thinkruptor Magazine Publisher Munif Ali. Ticket prices are $25 before December 1st, and $35 until the show, and include a copy of Lewis' new release "The Mask of Masculinity." Tickets will sell out IN ADVANCE, so please email or text for tickets. To request media access and interviews, or for further info: text 702-704-2530. Clear your calendar, and get ready for a night of transformation, growth and expansion! Before LEWIS HOWES became a media sensation for empowering people and sharing 'Greatness' across the globe, he had his share of obstacles to overcome. From childhood sexual trauma, to having a learning disability, which led to being alone and bullied in school, to being injured and broke on his sister’s couch, Lewis’s story is the perfect example of how anybody can overcome the obstacles in their life and achieve greatness. Fast forward a few short years, and Lewis is a New York Times Bestselling author of the hit book, The School of Greatness. He is a lifestyle entrepreneur, high performance business coach and keynote speaker. A former professional football player and two-sport All-American, he is a current USA Men’s National Handball Team athlete. He hosts a top 100 podcast in the world, The School of Greatness, which has over 40 million downloads since it launched in 2013. He was recognized by The White House and President Obama as one of the top 100 entrepreneurs in the country under 30. To read more on Lewis' topics and new book, please click here. For more information, please contact Melissa Broadway - 702.704.2530. Heidi Nazarudin, Global Fashion, Business, and Lifestyle influencer. A serial entrepreneur, Heidi is also an award-winning blogger with Theambitionista.com and CEO of Marque Media, a digital agency focused on creating the next big brand. With 1 Million followers on social media, founding a blogger network (Blogger Babes) featuring over 20k bloggers, and a never ending speaking and keynote calendar, Heidi Nazarudin has been featured multiple times in everything from Forbes, Inc. and Entrepreneur to also gracing the cover of Marie Claire. Boss Box Co-Founder and Founder StilettoGal.com. Hillary Gadsby, is a marketing dynamo whose international career spans the United States, UK, and France. Hillary is known for creating and producing outstanding and diverse events including a wide range of corporate events, public relations, corporate meetings, product launches, tradeshows, fashion shows and non-profit fundraisers. Her extensive experience in Sales, Marketing and Event Management as well as providing exemplary service, has gained her recognition among some of the world's most recognized companies including luxury market powerhouse brands such as Ralph Lauren, Gucci and Vera Wang. Angel Investor, Founder, & Publisher of Thinkruptor Magazine. A Serial Entrepreneur who became a multi-millionaire by the time he was 30. He refocused his attention and energy utilizing an innovative life coaching methodology he developed called Power Habits. Munif achieved amazing results after implementing Power Habits into his life, currently running seven successful businesses. Poo-Pourri Founder and CEO of Poo~Pourri, ignored her instincts and played by the “rules” for the first four decades of her life. It was her second bankruptcy at 40 that propelled her on a spiritual quest, where she discovered the lost art of tapping the body for stored creativity and ideas. So, she threw the rulebook out for good and founded Poo~Pourri in a way that was, well, radical. Dr. Will Moreland is a highly sought after Business and Transformational Leadership Coach. A noted speaker, best selling author and business coach, he inspires individuals to live their Genius Potential, embrace passion and achieve personal greatness through life harmony. DID YOU PURCHASE YOUR VIP TICKET YET? All ticketed VIP MEET and GREET ticket holders have a drink and chat with the speakers and hosts. Does gender really play a major role in business today? How are we addressing it, does our awareness of our gender change while working with other women, and will this pro=female bubble pop? If so, where will that leave us? 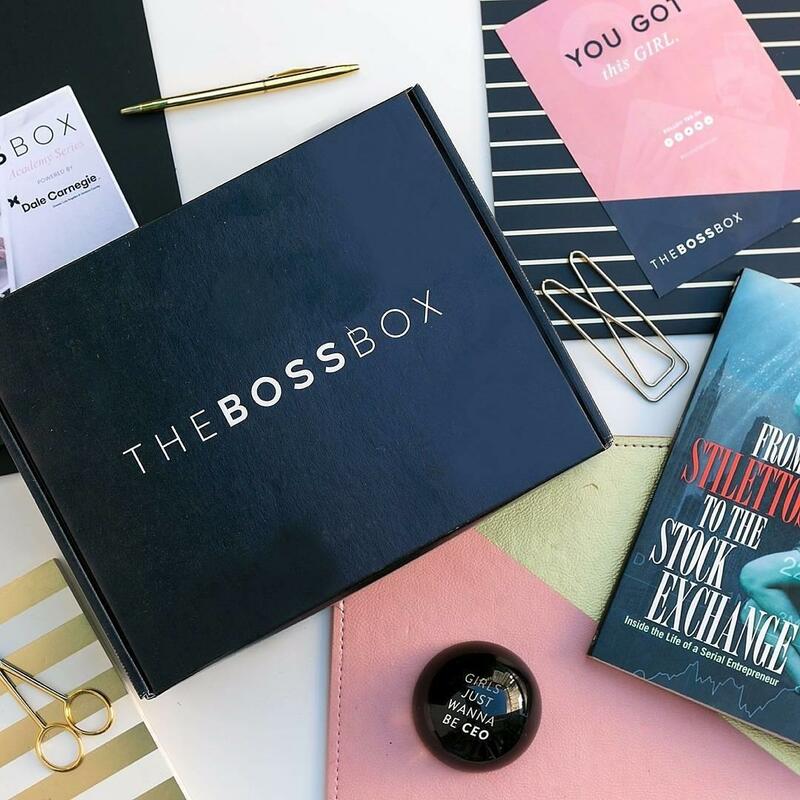 Real life founders of The Boss Box discuss their experiences, both collectively and individually, as successful international brands, influencers and founders. A Q + A closes the conversation. Hosted by Suzy Batiz (abuse survivor, two time bankruptcy turned $300M founder of Poopouri), Lewis will introduce us to his book, why it is so important to him, and steps you can take to change the lives of everyone around you, male and female. Suzy will then moderate questions and conversation from the audience. After the Q and A finishes, LEWIS will sign copies of his new release "The Mask of Masculinity". Thank-you so much for joining us, have an amazing holiday and we will see you again in 2018!